Well, tomorrow is Father's Day. If you are lucky enough to still have your Dad, give him a call, a hug, or some kind of appreciative action. (Wouldn't be a bad idea to acknowlege your Mom, either. You never know how many opportunities you may have left). If you can, spend some time with them. It can't get any easier than this year as tomorrow is the longest day of the year. If they are gone, and you miss them, then honor them. Maybe you can honor them by being more patient with those who you find yourself irritated by or impatient with. I bet they'd like that. (I'll bet there are ministries that would echo that, also). My good buddy Frank (some of you know him, long time STH, plays with a few ex-Komets in hockey leagues) called me yesterday to talk Komet hockey. We usually have pretty good discussions about a lot of things. He enjoys reading about the K's, but not the blogposts. Since this post is running way too long for some, I'll stop here. What ever became of Angelo Esposito after he left Komets? Only Esposito knows. Elitesports and hockeydb dont know either. So if Ftorek is assistant coach, where did the beloved Chaulk go? Chaulk is the head coach in Brampton. 21alive reported tonight ECHL is changing OT to 3 on 3 and taking the SO to only three shooters. Break out the calender, Colorado not in too much hurry. According to Elite Prospects, we are affiliated with Colorado and San Antonio. 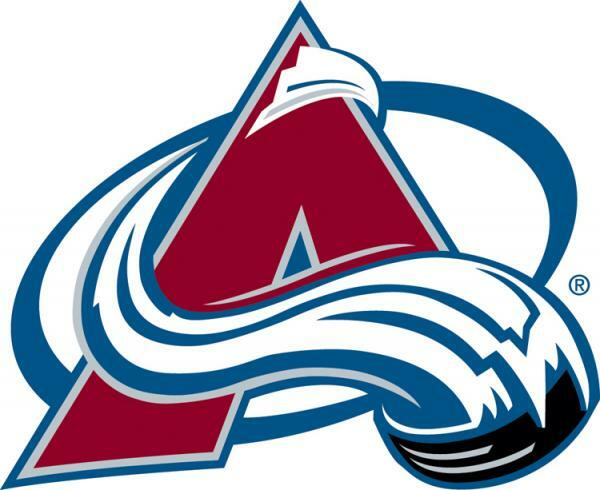 May 28: "The Komets are also expecting to hear next week on the status of their affiliation with Colorado after the Avalanche organizational meetings." June 5: "Franke said Friday he's talked with the Avalanche officials, but they said they hope to let him know next week." June 15: "As for the Colorado situation..." "We're probably going to start looking around here to make sure we're protected and see who else might be available." June 19: "Three weeks after being assured they'd have an answer from the Colorado Avalanche, the Fort Wayne Komets are still waiting for a phone call on the status of their affiliation." The one consistant in this whole thing is the explanation of "they haven't said no...we're still in the mix." Reminds me of the line in a movie when the lovelorn guy refuses to accept the signals that she just doesn't want him and she wants him to just take the hint, without spelling it out. "So you're telling me I still have a chance!" Alan, that's exactly what I've been thinking. A few weeks ago Franke seemed a bit concerned, but now that they haven't heard back it's like it's no big deal. At this point (me not knowing any other info) I'd have to believe the Komets are just a good backup if nothing better presents itself. Seems like the Franke are being strung along. Remember, Avs didn't affiliate with us until July 22 last year. Perhaps Avs focus, as well as all the other NHL teams, are on the draft. Several ECHL teams have yet to renew or sign an NHL affiliation and as aggressive as the Frankes are off season, we are here to wait on an NHL priority of the ECHL. Was that the movie, Hoss? I always seem to enjoy Jim Carey movies. Thanks, Hoss. Yeah, 757 Heavy. Sometimes it's hard not to get frustrated. Yet, everything happens in its own time and this will also. There are so many reasons that Fort Wayne would make an excellent affiation for an NHL team that you'd think teams would actually be pining to place their youngsters here. Hey there, orange_koolaid! I'm thinking that you're out in California (is that correct)? If so, I bet you all could use some of the rain we've been getting here this month. Probably going to set a record for monthly rainfall. It's wet. I have no doubt that these NHL meetings + the NHL draft has taken over much of the Avalanche's attention. I guess the main frustration is that it always seems to be "next week". Nothing for anybody to do except be patient, I guess. I have confidence in the Franke's. They'll do whats best for the franchise. Since next week is the 4th of July, probably nothing will happen before then. (Although season ticket money is due on July 24 and maybe some big news could spark the sale of some extra tickets). i like how everybody gets so upset when officials dont tell them everything they seem to thnk they have a right to know. none of you have any idea of whats going on behind the scenes and believe me, neither side is gonna tip their hand until th ey are ready. and those who act like franke is some bumpkin , i think his track record speaks for itself. it would be nice to know who we are with but we arent gonna be told until all parties are ready to make a statement. Gee, chuckitt. How is "nothing for anybody to do except be patient, I guess. I have confidence in the Franke's. They'll do what's best for the franchise" any type of criticism of the Franke's? Even your last sentence hints that it would be "nice" to know. People care...and even though they have nothing to do with the decision or any control over the situation, they still are curious. My problem is with Colorado, not so much with the Komets. Next week, on June 30, is the "qualifying offer" deadline. Only eight can be on the list, no more than four veterans. (Signings do not count toward the list). My hope is that they've been busy signing players so that list of eight can be more inclusive. But...the we'll know more "next week" has kind of run its course. A lot like the old "7-10 day" on announcements of a few years ago. And finally, all of these things are just opinions (just as yours was), and as long as they are respectful, people are wanting to hear news. This franchise is so unique for the interest and involvement it fosters (especially for a minor league "AA" team).